Happy Thursday! 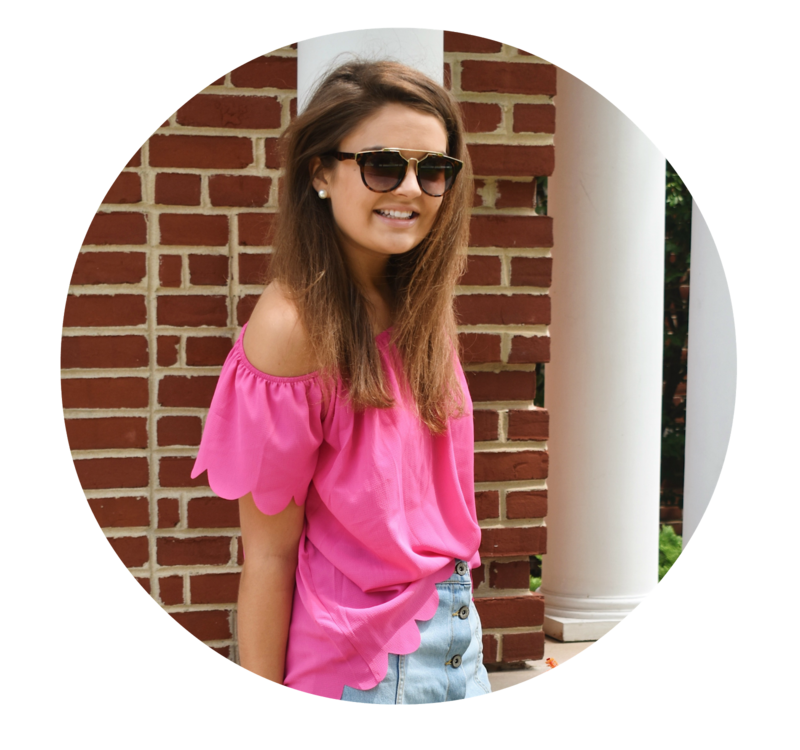 There have been so many fun things going on lately that I thought I was due for a "life update", as well as some other fun things I'm wanting to check off my senior year bucket list. One thing I've been dying to do is visit Devil's Lake, a gorgeous state park in the middle-of-nowhere Wisconsin. Tons of people go there to swim in the summer or hike during any season, but going after it snowed was so pretty. I'm not a super outdoorsy person, but two of my best friends since kindergarten (who are sisters!) and I decided to make the 2 hour trek on an off day and I'm so glad we did. We climbed all the way to the top (a pretty major feat considering it was almost all ice) and had so much fun catching up and cracking up after countless embarrassing falls. Taking a road trip was something on my to-do list for the year and I now want to take many more after this fun one! Hockey games are a huge deal for us since we are a tiny private school, and currently we are in the prime season time when we play all of our rival schools. This past week we played our 3 biggest rivals and ended up winning all of the games which was super exciting! The boys have been playing really well and it's so fun going to the games and cheering them on. We have different themes for each game and the one last night was our school uniform (lol, real original I know). Dressing up is always my favorite part, especially when it's a USA or Vineyard Vines one like last week! My friends and I get so into it all and we can't wait to go to all of the remaining ones before our last season is over. Yesterday two of my best friends signed for D1 sports, one for soccer at Wright State and one for tennis at Columbia. It's been so much fun watching my athletic friends commit to their dream schools and I'm so proud of their hard work to get where they are today. It was so cool to be at the signing and totally recommend going to one at your school if you can! 1. Go on a squad picnic (preferably by the lake). 2. Watch the sunrise on the beach. 3. Have a campout in the backyard. 4. Make a time capsule or memory jar with items from the year. 5. Have a photoshoot in our college tees. 6. Throw a party for my 18th birthday. 7. Go berry picking during peak season. 8. Have a #tbt movie marathon (HSM 3 the night before graduation!). These are just a few of the things I think would be fun to do before we graduate on May 15 - it's so freaky to think we only have about 3 months until it's all over! What are some things to add to the list? 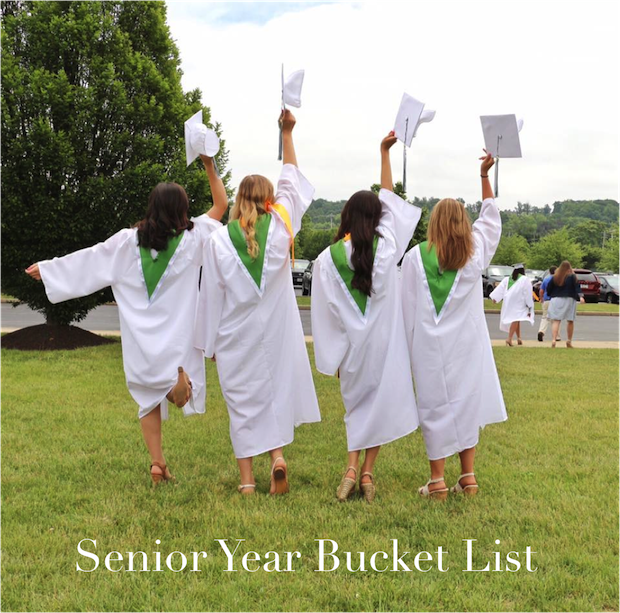 Having a senior year bucket list is such a good idea! Making memories before you all leave for college is so important! I love peeks into your senior year, makes me so excited to start mine in the fall! You all graduate so early! Enjoy soaking up the last few months of high school before college! Go to a cooking class in your area! Go ice skating downtown! Really take advantage of the city. Milwaukee is a great place to live, but since we live here we always take the opportunities for granite. I am definitely going to see what MKE has to offer before I leave!